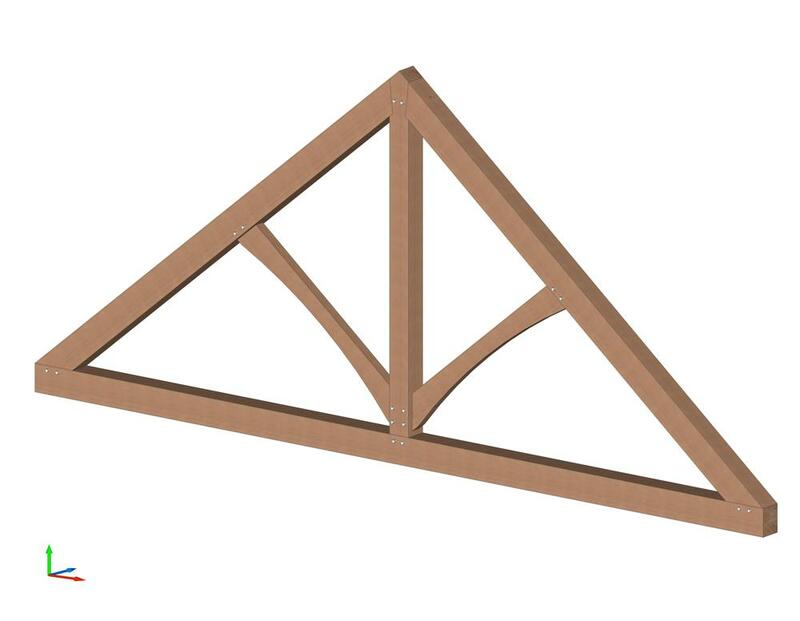 The King Post Truss is straight forward and strong. 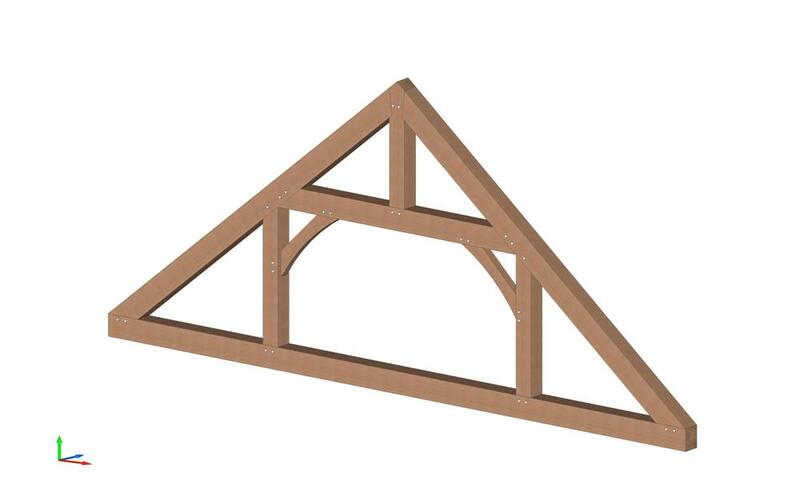 A king post truss can usually be joined traditionally depending on the span and engineering. In some cases, a king post truss does need to be reinforced with steel plates. 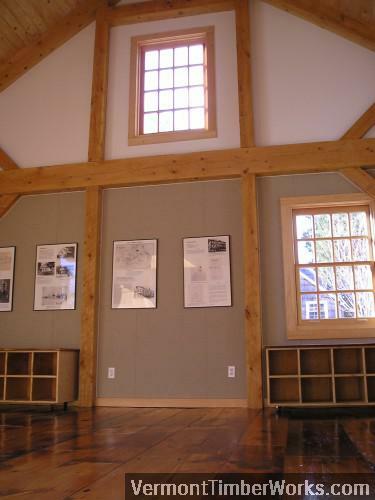 The Vermont Teddy Bear Factory is an example of a frame with king post trusses reinforced with steel. Those trusses span 40ft! 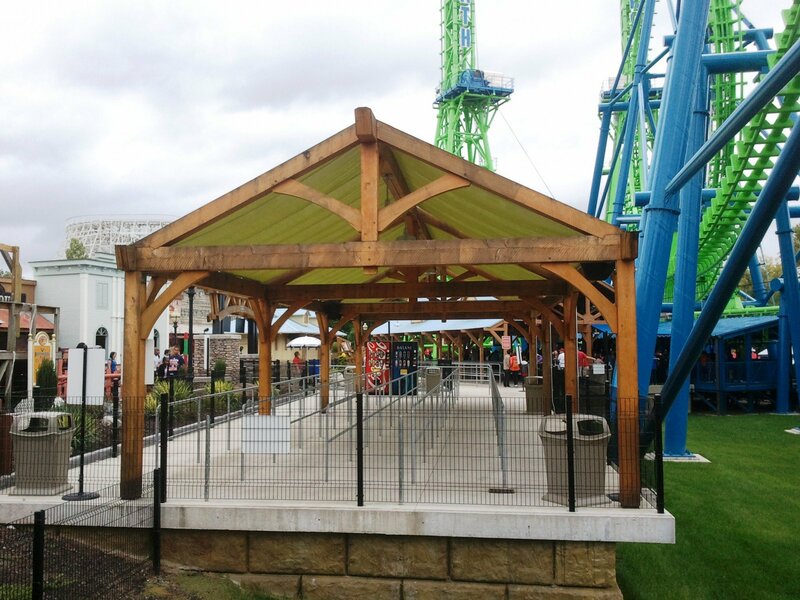 Other times, clients choose to add steel plates to trusses for the look, even if they aren’t structurally necessary. In the design below, the king post truss design has been modified. It has decorative curved braces. The Queen Post Truss is also straight forward and strong, and again, the braces can be curved or straight. Do you prefer the King or Queen? I like them both. 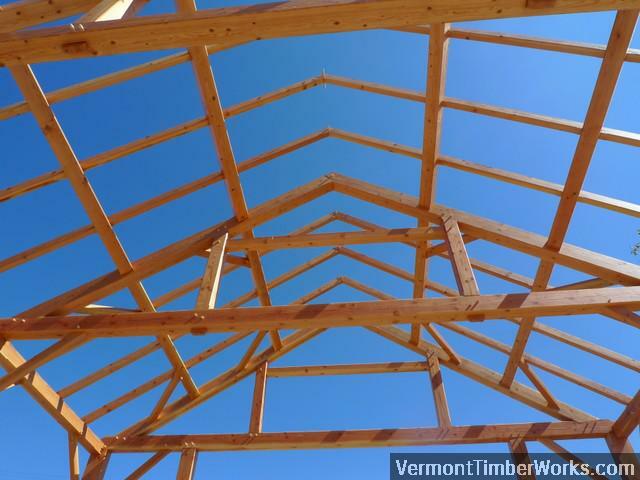 As always, thank you for stopping by our timber framer’s blog. We appreciate our readers! If you have any questions, we encourage you to get in contact, ask an expert, or share your thoughts in the comment section below! Queen on the gable, I agree! Agreement is good! Thank you for your comment! I see both King and Queen post truss style in the NH covered bridges I am visiting this year along with other styles of support. I found your site helpful in explaining why each style was chosen.